When I was first asked to take over the drug testing duties for the USA Powerlifting, I wasn’t really quite sure what I was getting into. I have always been concerned about the effectiveness of our testing and the behind the back remarks I have heard about so many of our lifters. I have to admit that in many ways, our new out of contest testing commitment scared me; that I might be greatly disappointed with the failure of one or more of our long time top lifters. However, now almost a year later, our top lifters are not what concerns me, but rather the general population of the USA Powerlifting. As of June 30th, we have done approximately 40 out of contest tests, testing almost all of last year’s national winners, as well as other top lifters, such as Brad Gillingham, James Benemerito and Larry Miller and there has not been a single problem. All of the lifters placed in this program returned all of the necessary information needed so that we would be able to test them without notice. The only exception to this was one lifter who is now retired. Most of these lifters were tested with absolutely no notice and the rest with only 12-24 hours of notice. What I have now come to realize is that the drug problem in the USA Powerlifting is much more in the area of the local lifter. When you join the USA Powerlifting, you sign that you are drug free for three years, so there is no way you should fail a urine test. However, the failures continue to come in, regular as clockwork, almost entirely from lifters in local meets. At this time, we now have 51 lifters on the suspension list. As a meet director myself, I have had four failures in meets in the past 12 months. Why would anyone lift in a meet run by the USA Powerlifting drug testing officer while they were on drugs? Several of the failures I have seen this year were by lifters who had entered the lifetime drug free division. 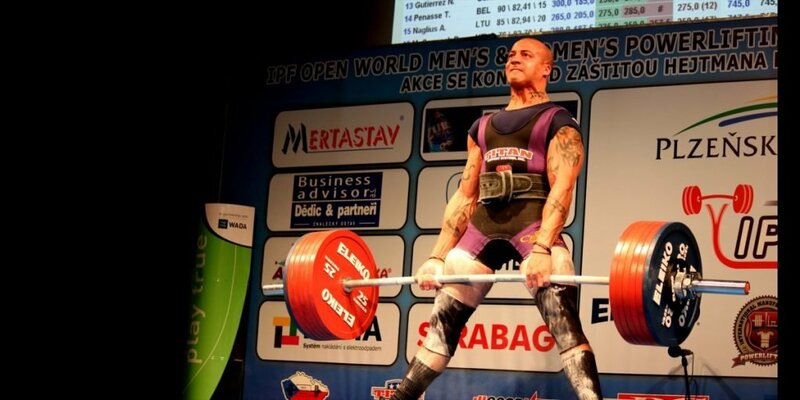 Why would a lifter claim to be lifetime drug free while they are on drugs at that moment? My message to all the lifters in the US is, don’t come to a USA Powerlifting meet unless you are drug free. It is not fair to the other lifters and it is not fair to the meet directors. Don’t take a chance on ruining your name and honor to win a trophy. This coming year, we will be doing much more full IOC screen testing at our national meets. This means you are going to have to be much more careful in terms of taking things like diuretics, stimulants, caffeine, medications, etc. As a lifter you are responsible for any supplement or medication you take and its legality. It is much better to check on what you are taking and passing the test, than to fail and lose your placing and suffer a suspension. Any lifter who competes in any of our national meets should be prepared to be tested with the full IOC spectrum test. This type of testing is now mandatory for all open Men’s and Women’s National Champions. Other lifters can be placed into this pool by state chairmen, national and international referees, and members of the national governing body. If you feel a lifter should be placed in this group, you can notify the drug testing chairman who will then send the necessary information to that lifter. We will attempt to do these tests with no notice as much as possible.